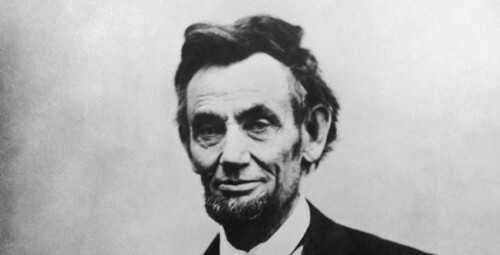 Abraham Lincoln (1809-65) may likely be the most studied and researched of the United States presidents. The first reference to him possibly being “homosexual” came from notable Lincoln expert Carl Sandburg in his 1926 biography, Abraham Lincoln: The War Years. In describing the early relationship between Lincoln and his close friend, Joshua Fry Speed, Sandburg wrote “a streak of lavender, and spots soft as May violets.” This line got historians talking about an issue from which many had previously shied away. Still, the biography was written in the early 20th century, a time when such topics were only discussed in whispers. But by including the line, Sandburg felt the relationship deserved acknowledgement. It wasn’t until 2005 when the first book was published on Lincoln’s relationships with men, C.A. Tripp’s The Intimate World of Abraham Lincoln.